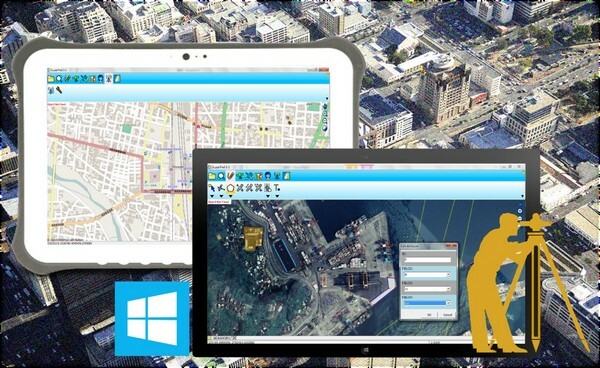 Supergeo announces that its leading GIS software on Windows and Windows Mobile OS – SuperPad was chosen by Indonesian GPS instrument provider CV. Gunapris Elecom as the solution for spatial data collection and processing. Headquartered in greater Jakarta, CV. Gunapris Elecom was founded in 2006 as a professional supplier of GPS devices and surveying instruments. And since establishment, it has aimed to provide the finest products for the government, mining industries, engineering consultancies, and surveying companies. As we know, a comprehensive land survey is a prerequisite for urban planning and development. Therefore, most emerging markets have a rapidly growing demand for related products. Developed by Supergeo product team for years, SuperPad is undoubtedly a premium GIS choice that can meet different needs of field workers with reasonable pricing and reliable performance. Surveyors can significantly improve their efficiency by the powerful features offered by SuperPad. For example, the on-the-fly projection can overlay different maps with ease; the OGC Service tool helps users to connect in diverse formats like WMS, WMTS, WFS; also, the NTRIP extension would improve the workflow by its sub-meter precision. Other than these capabilities, SuperPad provides users a great flexibility by its various extensions such as Advanced Attribute Editing, Sketch Labeling, Bird View, and so on, which users can hence build a customized GIS platform. Do you want to learn more about how mobile GIS and server GIS can improve your workflow? On June 1, 2016, Supergeo will host a webinar about how these technologies will benefit your tourism management and planning. The Latest SuperSurv 3.3 for iOS Is Released!